Notes: This HHE Guide can be used alongside other LeHo products, especially the LeHo Toolkit and the other materials that are referred to in this Guide. 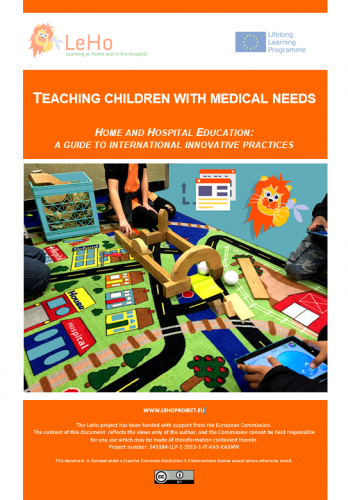 There is some duplication of the information contained in these materials but this Guide also provides teachers with pathways that lead to quality education for pupils and students with medical needs. The Guide is available in ENGLISH, ITALIAN and SPANISH.